Hello! 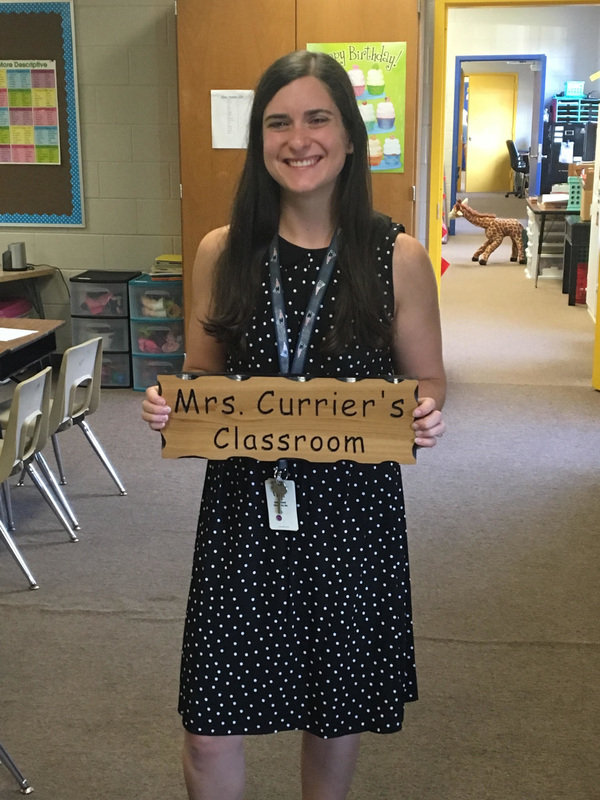 My name is Victoria Currier and this is my third year working as a 4th grade teacher at Newmarket Elementary School. Prior to this, I was a long term substitute teacher in a second grade classroom, a reading interventionist in Kindergarten through grade 2, and a paraprofessional. I graduated from the University of New Hampshire with my Bachelor's Degree in 2011. From there, I continued my education at UNH and graduated with my Master's Degree in Elementary Education in 2012. My internship was completed in a 4th grade classroom at Garrison Elementary school in Dover, NH. I have been happily married to my husband Bill for four years and we live in Dover, NH with our two cats, Calvin and Luna. In my free time, I enjoy playing Disc Golf (similar rules to regular golf but played with frisbees), and exercising at Seacoast Kettlebell in Dover. I hope to use my love of health and exercise in the classroom on a daily basis! Math Playground - a fun website to practice specific skills and math facts! Sheppard Software - games and practice for every subject! Turtle Diary - math games by grade level. Science Kids - a great resource for science topics and doing experiments at home! Funbrain - A fun website with reading and math games for every grade level! Storyline Online - Entire stories read out loud by authors, celebrities and others! Storynory - free audio stories from fairy tales to poetry and everything in between! National Geographic Kids - a great nonfiction resource. Happy October! We have had a very busy beginning of the school year! In reading, we are starting our year with a book by Betsy Byers called My Dog My Hero. Our main focus is reading for comprehension and fluency as well as character traits. In math, we just finished our unit on Place Value. We practiced adding and subtracting 5 digit numbers, learning the definitions of value and digit, as well as practiced rounding and estimation. We are now moving on to multiplication! If your child is struggling with their multiplication facts, please check out my list of resources on this page to help with some games. There are also multiple flashcards that you can find online. These all qualify as a choice homework. In Social Studies, we have concluded our unit on Great Bay and we are now learning about the Northeast region of the United States. We will also be doing a small unit on government before we have our field trip to the State House at the end of October. A permission slip will be sent home sometime next week. Our writing projects will be beginning soon, but until then, we are working on expanding our sentences using where, when, why, and how. In Spelling, we are working on different long vowel patterns. Your child is expected to know how to spell the words on their list as well as the definitions for the vocabulary words (if necessary). Any practice of spelling words can also be counted as a choice homework. If you have any questions or concerns, don't hesitate to email me. Thank you for making your child's beginning of the year the best it can be!